You guys already know that protein does wonders for your body…and your appetite, right? Each evening (okay—I’m a total addict), I make myself my very own version of protein ice cream to beat my sweet cravings and give my body something healthy to enjoy before I head to bed. 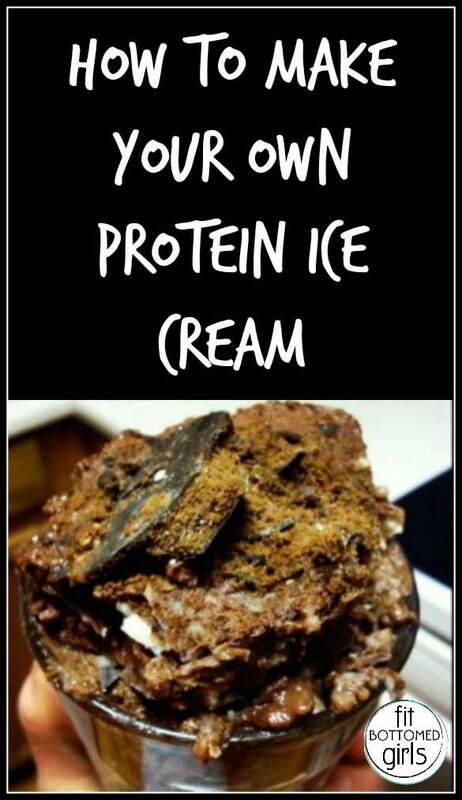 This basic protein ice cream recipe only requires two ingredients and one hour before it can be destroyed—er, I mean enjoyed! And if you crave ice cream with a little more excitement, I have two recipes that you’ll swear are unhealthy, but they aren’t. And all of these have fewer than 200 calories a serving (nutritional facts will vary a bit based on which protein powder you use)…Oh, how I love protein ice cream! I think this sounds like a great healthy option. I just had to comment…if we are watching what we eat then we know that any time you see the words ‘protein powder’ and ‘fat free” you are preparing to ingest a chemical storm. These ‘storms’ can be partially blamed for women’s hormones being out of balance and their ability to achieve a healthy weight almost impossible. A much healthy alternative would be to pulse frozen bananas in a blender with a tablespoon or two of nut butter and a sprinkling of dark chocolate chips. The consistency of the result will fool anyone into believing its full fat ice cream.